One of our favorite releases of last year is now available as an audiobook. 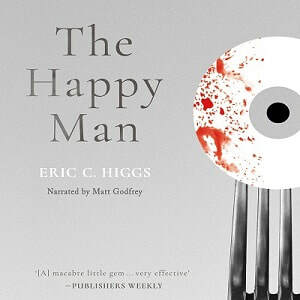 Eric C. Higgs's THE HAPPY MAN is a rediscovered classic of 1980s horror fiction that Too Much Horror Fiction called "unlike anything else in the genre". The talented Matt Godfrey brings the book to life in this audio edition, which we think fans of Gothic and macabre fiction will really enjoy! More info here.